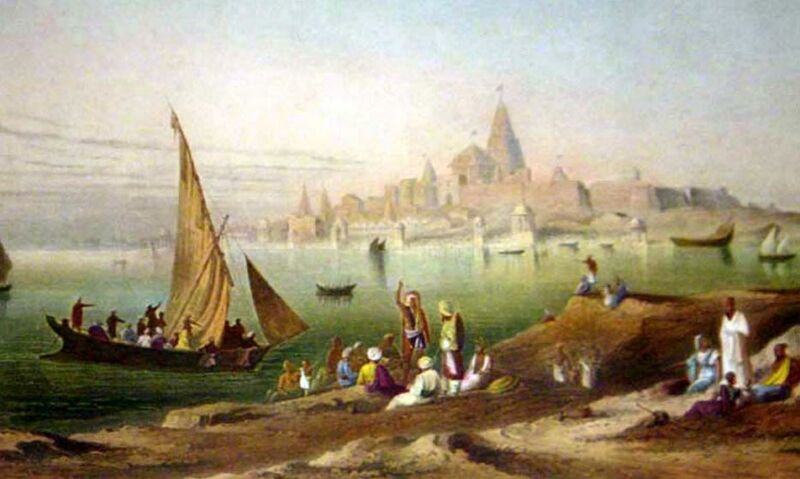 The reputation of Dwarka is mainly due to the identification of the modern city with the mythological sacred city of Dvārakā, which is believed to have been the first capital of Gujarat. Dvārakā is mentioned in the Mahabharata, one of the two great epics of ancient India, as well as the Shrimad Bhagavad Gita , Skand Purana , Vishnu Purana and the Harivamsha. According to Hindu mythology, Dvārakā was a city where Krishna, the eighth avatar of Vishnu, once lived. It is believed that Krishna was born in Mathura, just south of Delhi in the modern state of Uttar Pradesh. His uncle, Kansa, was the tyrannical ruler of this city and was eventually killed by Krishna. Kansa’s father-in-law, who was Jarasandh, the king of Magadha, was furious when he heard of Kansa’s murder, and tried to avenge his death. 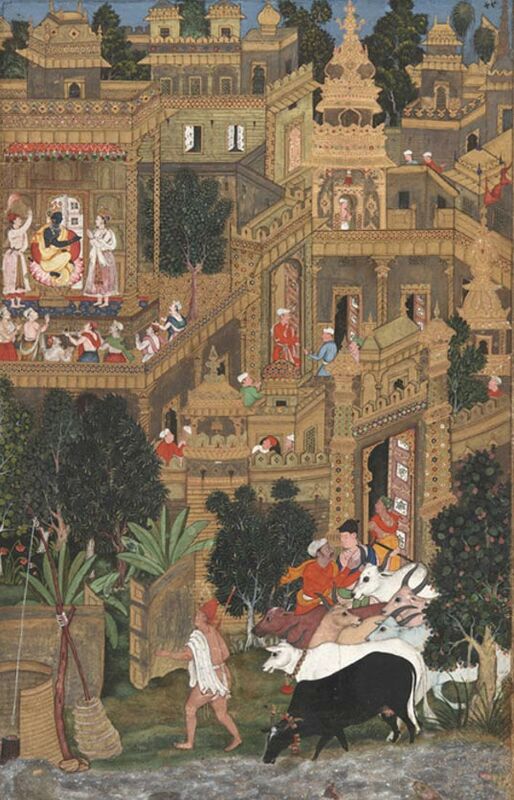 Although Mathura was attacked 17 times, it did not fall to Jarasandh. Nevertheless, his clan, the Yadavs, suffered heavy losses over the course of the lengthy conflict. As Krishna realized that his people would not be able to withstand another war with Jarasandh, he decided to leave Mathura with the Yadavs. In one version of the story, Krishna was said to have been brought by Garuda (the mount of Vishnu) to the coast of Saurashtra in north-western India. It was there that Krishna founded the city of Dvārakā. In another version of the story, Krishna invoked Vishwakarma, the deity of construction, when he decided to build his new city. The deity, however, informed him that the task could only be completed if Samudradev, the Lord of the Sea, provided some land. Krishna worshipped Samudradev, who was pleased, and gave him 12 yojanas (773 square km/298.5 square miles) of land. With the land granted, Vishwakarma was then able to build the city of Dvārakā.